We aim to make our contribution to the next generation of cyclists, through activities and events for the under 12s, and those between 12 and 16 years. Older teens will, we anticipate, be joining in with senior riders in the range of activities within the club. We have run our programme for young riders for several years. It has been run by volunteer coaches who have received training through the British Cycling scheme British Cycling. All coaches have up to date accreditation, involving certified training, first aid and safeguarding welfare. Our commitment to young riders is underlined by Clubmark accreditation through Sport England, which is bestowed on sports clubs that have demonstrated high welfare standards for youth riders Sport England Club. At the present time we are looking to develop the next generation of coaches and parent volunteers. We are always happy to talk with prospective new coaches and volunteers in the club about opportunities to get involved – just contact one of the team, below. It’s great fun and very rewarding. Several young riders whom we have worked with have gone on to compete at high levels and joined regional and national level race teams. We are equally delighted to hear of many others who we have enthused with a love of cycling and hopefully helped them to achieve their personal goals. Forthcoming events will be posted below, on the club’s Facebook page, or in the news section of this site. 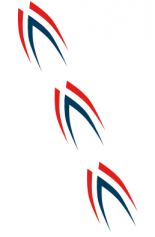 In addition we recommend checking the British Cycling website for opportunities in the Central region, and/or contacting Catherine Ruffley who is Go Ride Coach for this region Catherine Ruffley. British Cycling Central Region run holiday programmes in the region for riders to gain skills and practice race techniques. Will be posted here, and in ‘News’. At the moment we are looking for the next generation of coaches!! So if you are interested please contact anyone from the above team and we will let you know what’s involved. Funding is available for any training that may be needed. Membership for the under 18’s is Free if a parent/carer is an Oxonian member or otherwise £5 per annum. Parental/carer permission is required for those under 18 years. For full details see the downloadable membership form under ‘Join Us’. Benefits include access, normally free or at much reduced rates, to all Oxonian young rider activities and coached sessions, free membership to British Cycling, and 10% discount at local bike shops, including Beeline Bikes, and Bike Zone, Oxford. Several Oxonian youth riders [aged 14-18 yrs] have become Young Volunteers helping out at events and our sessions for children, thereby amassing accredited hours [useful for their CVs and DoE schemes etc]. This scheme is a great introduction to the world of competitive cycling beyond the club environment too, and includes free training and conferences arranged by British Cycling. For further details on any of the above contact David Jones or any of the team listed above.